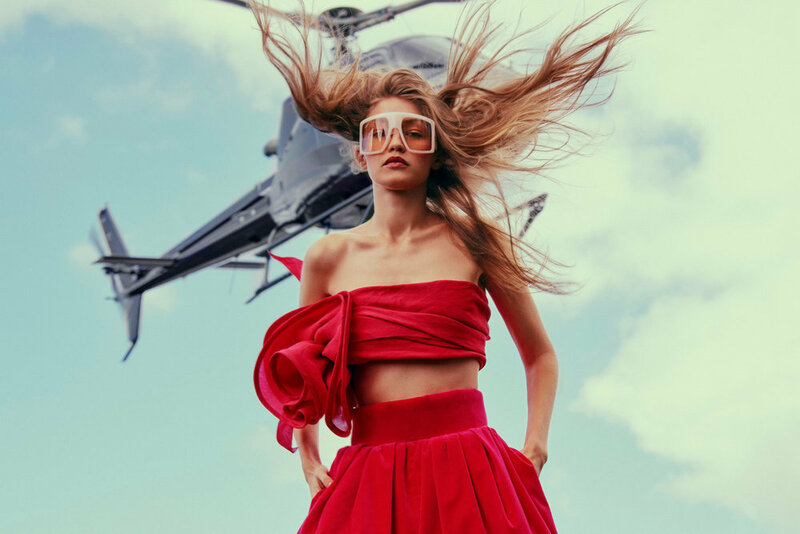 Supermodel Gigi Hadid appears in her first ever ELLE US cover triad, taking us to Rio de Janeiro in an issue that confronts the “allure of dangerous women”. Chris Colls captures the American all star posing in Cynthia Rowley pink, Balmain, Hermes, Valentino and more styled by Ilona Hamer. "I mean, I understand it. I come from privilege, and I recognize my privilege. But because my mom was on a TV show [Bravo’s The Real Housewives of Beverly Hills], people think that my whole childhood was fame. It absolutely was not. My mom was a model. She moved to the States when she was 16 to send money back to her family in Holland. My dad was a refugee and worked his way up in every way. I work hard to honor my parents."